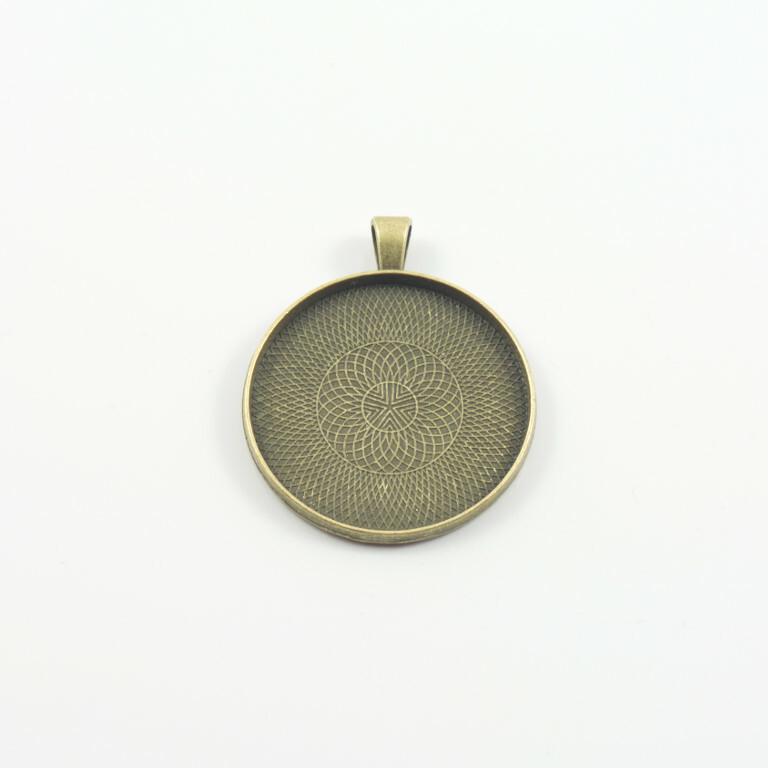 Metal round base for liquid glass pendant in bronze color. Ideal for necklace. Dimensions 4.6x3.7cm.